As our kids is still growing up to become responsible enough to start using their own smartphone, parent most times share their Android Smartphone with their kids. But nevertheless, as our phone contains some confidential information and apps which you might not want your kids to access due to their age. Being a responsible parent, you don’t just hand over your Smartphone containing such kind of information and expect them to just play games and watch normal YouTube channel. In the essence of this, you need to make your Android device suitable enough for your kids’ usage. By taking Android Security features as an advantage and also getting help from third-party apps will really help a lot, in this article I will show you some method you will use in setting up Android Tablet for a child. Setting up password will help to prevent your child in accessing your phone when you are absent from his present. Almost all Android phone contain pattern lock or a password or you may also prefer face detection or even similar unlock method, that should also work perfect. 2. 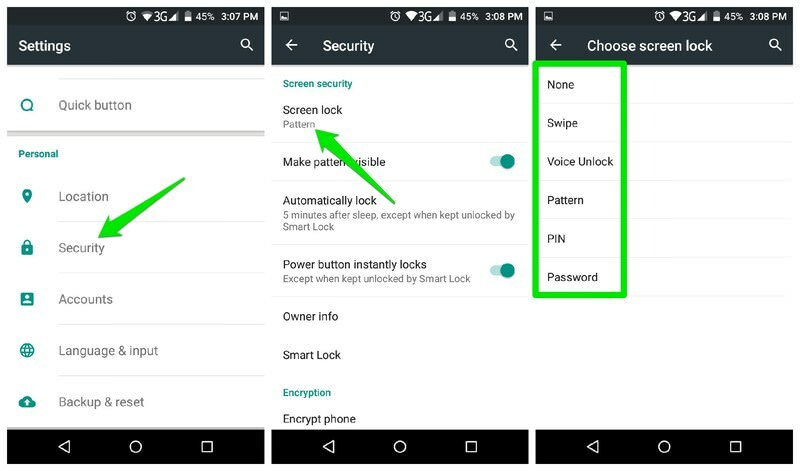 Tap Screen lock, the security lock options available for your phone. I mostly recommend Pattern lock as it is easy to use and just as secure as password lock, but you can choose any security lock you prefer. 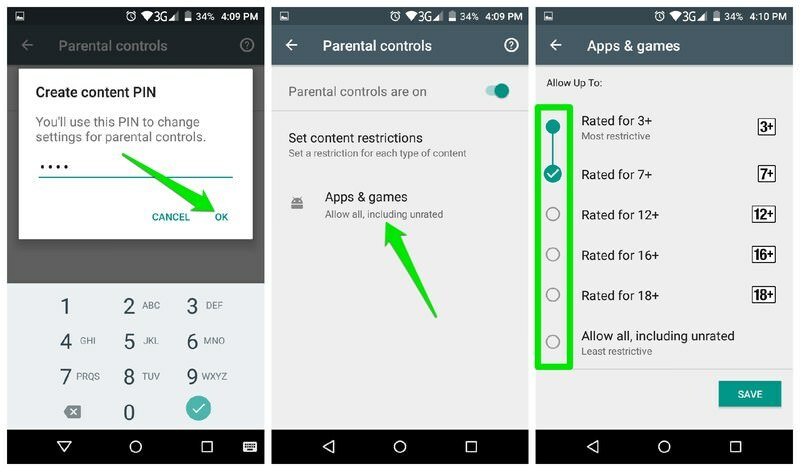 By turning on Parental controls in Google Play Store, you can easily restrict the types of apps that should be visible on the store. 1. Tap Main Menu at the top-left corner and go to Settings. 3. On the next page turn on the toggle button. After the previous step you be asked to provide a 4-digit pin that will be used to make any changes in the parental control options. Do ensure that the pin is very difficult to guess and your kids should not be aware of it. Immediately, after that all the Google Play Store products based on the availability in your region will be visible such as apps and games, movies, and books etc. Kindly proceed by tapping on each product and select the appropriate age restriction according to the age of your children. 1. Tap "Require authentication for purchases". 2. 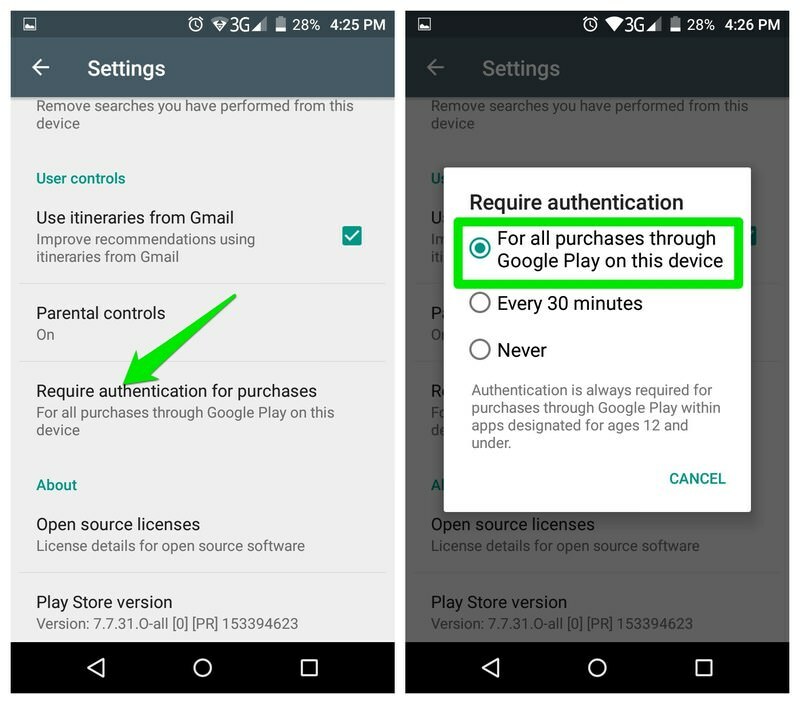 Ensure "For all purchases through Google Play on his device" option is selected. Note: Don’t forget that any time you want to do setup process for each Google Account that you are using on your smartphone you have to undergo this procedure. Base on the previous method on how to make your phone kids friendly, do note that Google Play Store is not the only source your kids can download apps and games. There are many open source web pages where they can equally just by searching on the browser and they will be allowed to download and install APKS and install them. 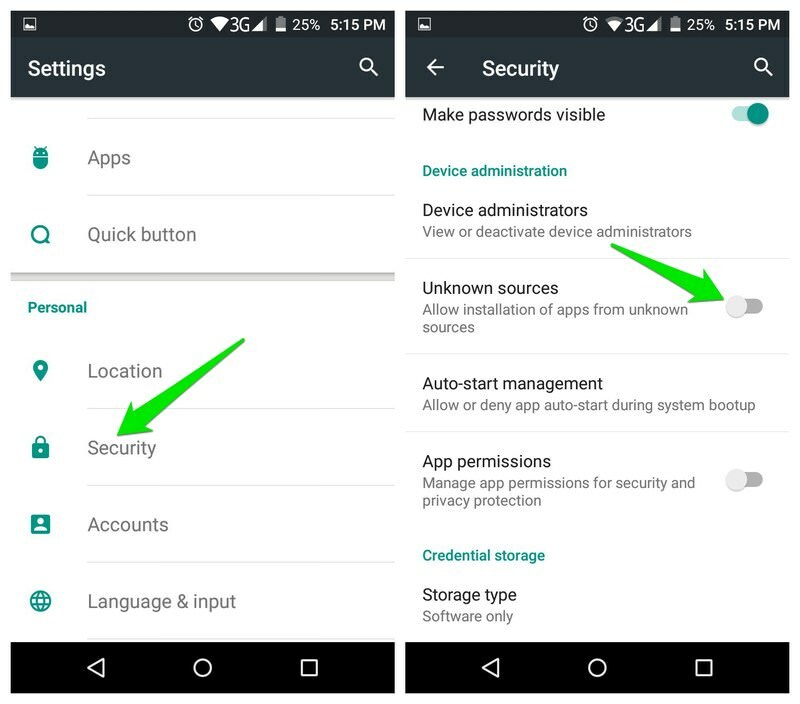 You can equally disable Unknown Source in your smartphone settings to stop installation of apps and games from unknown source other than Google Play Store. 2. Scroll down and toggle off Unknown Sources option. Bear in mind that your child might be smart enough and can easily turn on this feature back and install any apps and games of their choice. Just keep an eye on this feature to ensure they don’t turn it on again or you can resort to more options that would be mentioned as we go on. YouTube has been the major issue why most parent want to make their phone child-friendly. As many children loves shows on YouTube but YouTube has no option where you can control what your child can see and some things they watch is not recommended for kids. YouTube Kids has solved this issue and gave parent control over what kids can see and watch. 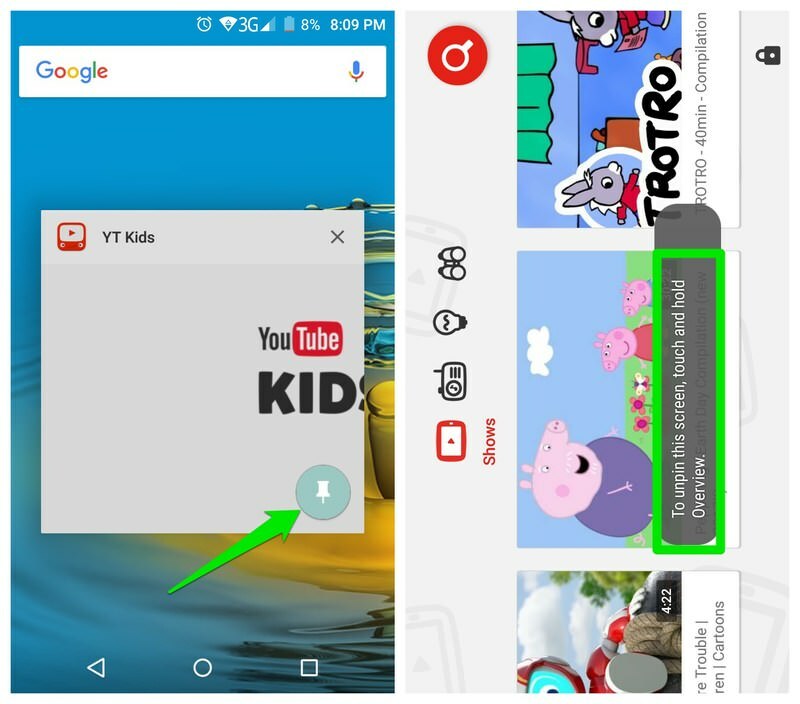 This is an official YouTube app by Google that is tailored to children visibility. All you need to do, is to tell the app the child’s age and it will only show channels that are recommended for their age. Beside all the settings are protected and only the parent knows the password to be able to access the app. 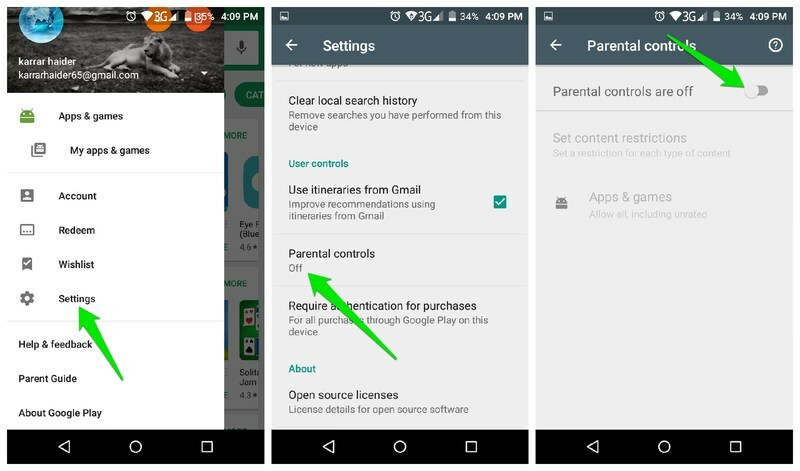 You can lock down sensitive apps on your phone for your kids instead of locking down the whole phone. I recommend AppLock for this purpose. You can use all of its features in the ad-supported version and it gives full control over locking apps. 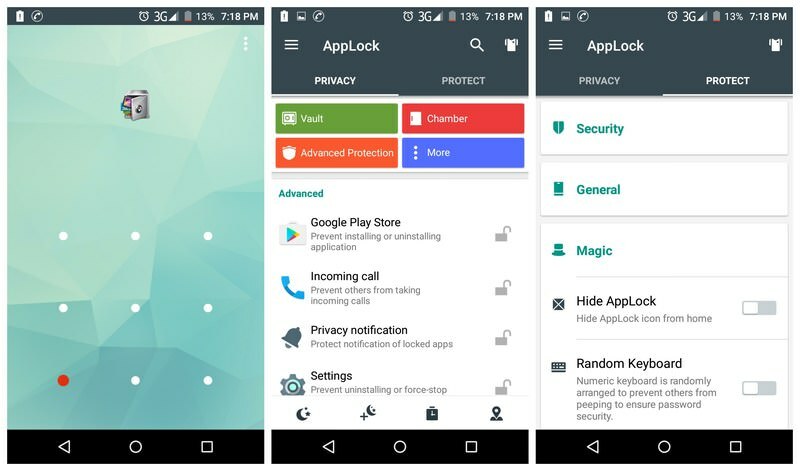 With the help of this app you can lock down any system or third-party app installed on your Smartphone. The reason I love this app is it ability to stop users from receiving calls, downloading apps from Google Play Store and uninstalling any app. You can equally hide the app from the app drawer and prevent anyone from uninstalling them. You can use this app to hide apps like Gallery, Calling app, social media apps, or maybe your banking app. With this your kids can access your phone any how they please. Creating a safe zone for kids right inside your phone with enable your kids handle your phone without you monitoring them and without messing up with your confidential packages. I recommend this app Kids Place for this purpose. It basic function is that you can you simply allow kids friendly apps in its interface and the child will not be able to move away from it. Apart from this feature, it allows you to manage which apps can access the WiFi, block incoming calls, automatically restart the app if it closes (good for toddlers), and many other parental control tools. The only issue I have with Kids Place is that it sometimes takes 1-3 seconds to get back into the app when the child presses the home button. 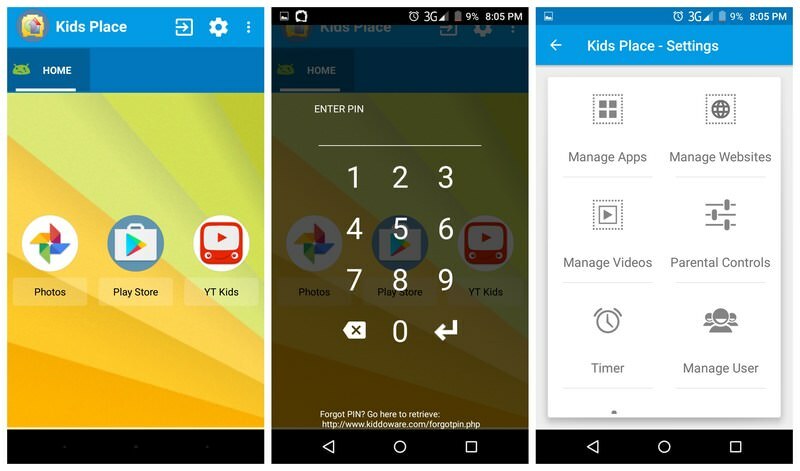 If you Android Version is Android 5.0 or above you can use the built-in Screening pinning feature to pin a single app on the screen in case your child only use single app on your device. This will allow you to let your children use a single app, and they won’t be able to exit out of it. 2. Scroll down and tap Screen pinning. 3. Toggle "on" for Screen pinning on the next page. 4. 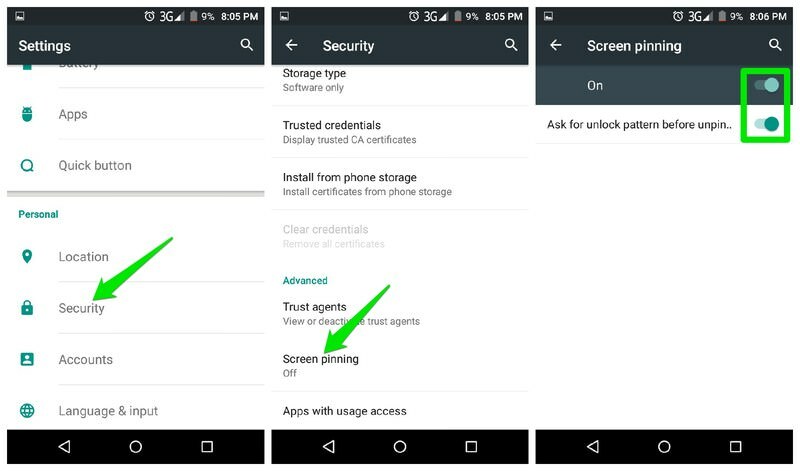 Select "Ask for unlock pattern before unpinning" option for added security. 1. Open it and press the Overview button. You will see a tiny Pin button next to your app. 2. Tap on it, the app will be pinned. 3. Press and hold the Back and Overview buttons simultaneously. I believe following all the procedure given in the post on kid friendly android launcher has help a lot from restricting your kids from prohibited content. If you know other ways on how to achieve this same aim on how to make an Android phone kids-friendly please use the comment box to contribute.